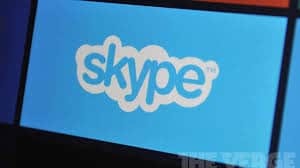 Skype, a popular video chatting app by Microsoft, has today announced that group video calling will be available for free to users on Windows, Mac, and Xbox One. The feature was previously available only to Skype Premium subscribers. “Skype is proud that, since our beginning, we’ve created opportunities for people to communicate freely and easily, no matter where they are,” Phillip Snalune, GM Consumer Marketing, Skype Microsoft wrote in a blog post. Snalune confirmed that the company will “be enabling group video calling for all our users across more platforms – at no cost”. Google Hangouts has been offering this feature for free since launch. Although, Google offers a higher limit to business, government and educational users, both Skype group video calling and Google Hangouts limit the number of simultaneous users in a video call to 10.